‘Cocaine Hippos’ might sound like the name for a killer rock band, but in actuality, they’ve caused a big headache for Colombian officials. 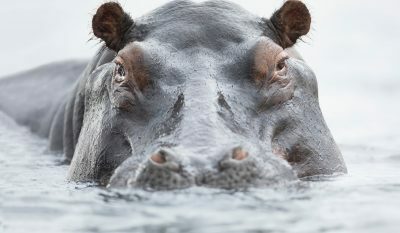 When Colombian drug kingpin Pablo Escobar was killed in 1993, he left behind a very unusual parting gift that’s now creating mayhem: the hippopotamus. Escobar was famous for running the Medellin cartel, a group that controlled 80% of the global cocaine market in the 80’s and was also worth billions. In the video below, you’ll hear how in his heyday, Escobar decided to build a private zoo on his vast ranch Hacienda Napoles – which sits between the city of Medellin and Bogota, the Colombian capital – and fill it with exotic animals. The animals were delivered, including four hippos from a zoo in California – one male and three females, Business Insider reports. When the ranch was raided and confiscated in the early 1990s, the animals of Escobar’s private zoo were corralled and sent to other zoos around the country. For more than a decade now, the Colombian government has been tossing around possible solutions on how to best handle the growing population, a strategy backed by conservation experts. Not everyone agrees with the move, though, as some ecologists are hesitant to deploy a cull or relocation of the animals without any evidence that they’re doing harm to the ecosystem. “They have no predators so they are more at peace than they would be in their natural habitat and they have been reproducing faster,” local vet Jairo Leon Henao told the AFP. The post Pablo Escobar’s ‘Cocaine Hippos’ Are Thriving in Colombia appeared first on OutdoorHub.